Quality training is an integral part of effective risk management. LPLC provides various training resources, recognising that all practitioners and firms are different, with different training requirements. A half-day seminar on risks for regional Victorian lawyers. 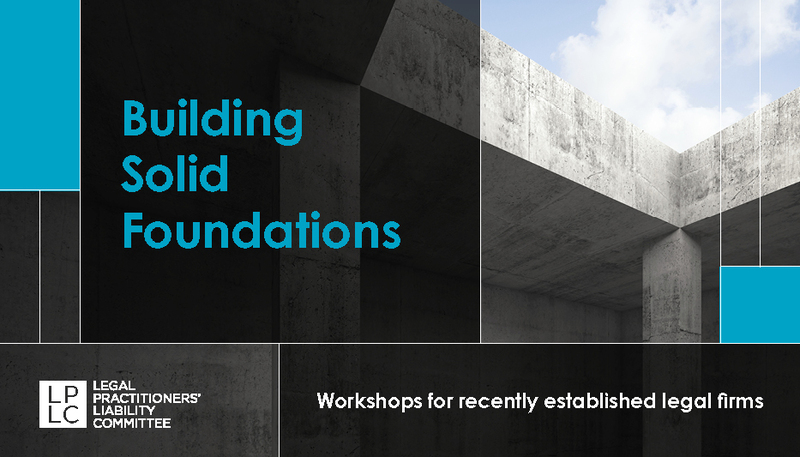 These small group sessions give practitioners access to an experienced manager to ask questions, share information and consider fundamental basics for a solid legal practice structure.